Drawing upon the best-selling Halliwell's Film & Video Guide and Halliwell's Who's Who in the Movies, the Film Quiz Book is a fun and challenging knowledge tester for film buffs and general film fans alike. Drawing upon the best-selling Halliwell's Film & Video Guide and Halliwell's Who's Who in the Movies, the Film Quiz Book is a fun and challenging knowledge tester for film buffs and general film fans alike. Expanding on the most well known and immensely succesful film brand, Halliwell's, the Halliwell's Film Quiz Book is packed full with 1,500 questions -- and answers -- on every aspect of the film world. From the best and the worst films, and everything in between, to the actors and actresses who grace the silver screen, it is a comprehensive teaser, guaranteed to stretch even the most knowledgeable film buff. 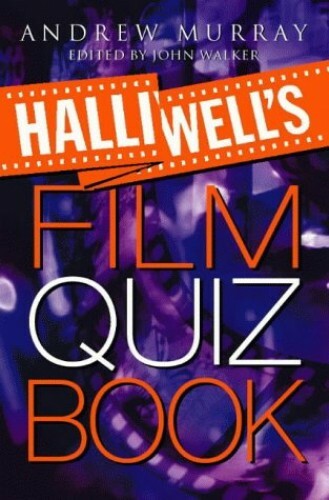 The third book in the Halliwell's range, the Film Quiz Book is a must for all film fans.